Landing alongside the Amazon Kindle Fire tablet and touchscreen Kindle Touch e-reader at today's Amazon event, the online retailer officially launched the all new 6-inch Kindle. 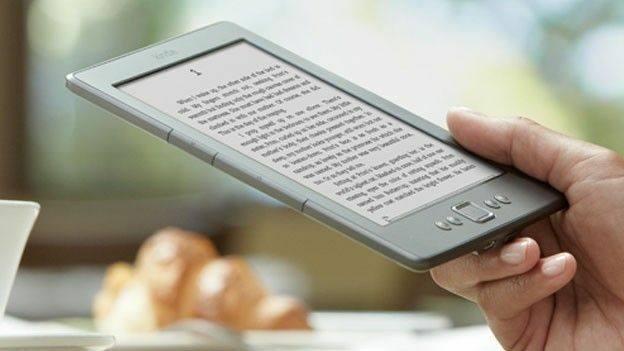 Doing away with the physical QWERTY keyboard found on the current, third-generation, Kindle e-reader, the new Kindle replacement is to feature a 6-inch e-ink display with a 600 x 800p resolution and 2GB of internal storage capable of support some 1,400 Kindle books. Scrapping the traditional Kindle aesthetic the newly announced model looks more reminiscent of the Sony e-readers with physical page turn buttons moving from the device's front to 8.7mm thick edge. Menu, select and back buttons now take pride of place on the Kindle's fore. Weighing in at a mere 170g the next-generation Amazon Kindle is available to pre-order in the UK now price £89, some £40 more than the US $79 (£50) price tag. A 6-inch Amazon Kindle release date has been set for October 12th. What do you make of Amazon's latest Kindle e-reader? Let us know via the comments box below.